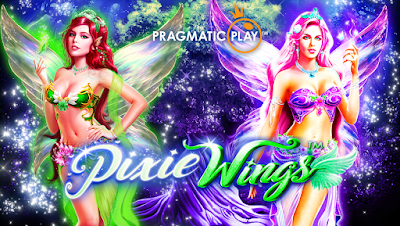 Game developer Pragmatic Play excel at games themed in myth and legend, and Pixie Wings is no different to the rest of their games set in similar worlds, that you can play on MegaReel. 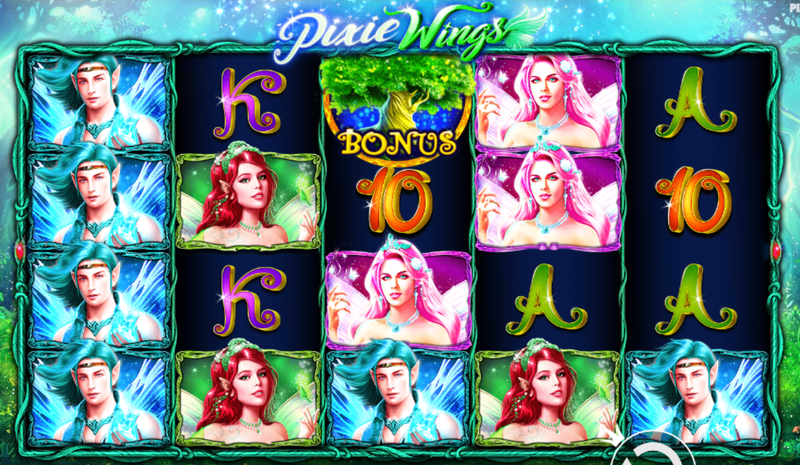 Super stacked symbols of glamorous pixies, illustrated with colours that are so bright and glowing they practically leap out of the screen, will transport you to a magical woodland of sprites and spells. But be careful – fairies are known for being tricksy as well as kind, so out down your deposit and start spinning to see if the fairy world is welcoming you or sending you on your merry way. 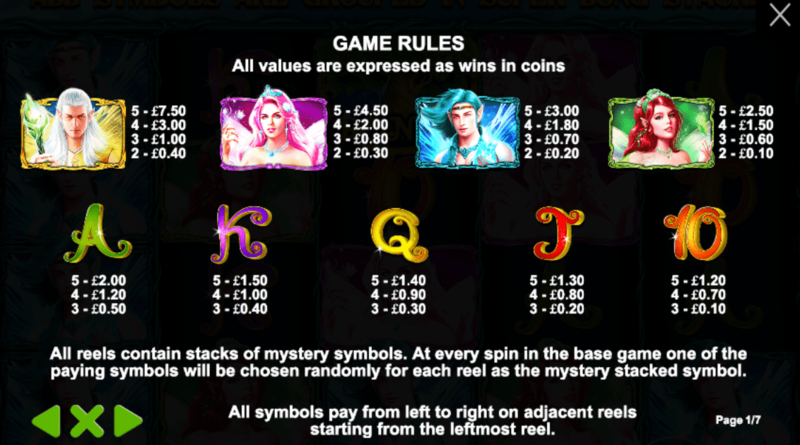 An A, K, Q, J and 10 make up the lower value symbols in this 5 reel, 4 row slot game with up to 50 paylines. There are 4 fairy, or pixie, symbols that give players higher rewards. There are 2 males and 2 females, each with their own distinct colour scheme. These are not earthy, messy creatures, but the flawless rulers of the woodland realm that forms the backdrop to this game. All of the symbols are stacked, and the extra row gives you more payline options. The wild is a the Pixie Wings logo bordered with a delicate gold frame, which stands in for all symbols other than the scatter. A tree is the scatter that opens the free spin feature. If you land at least 3 of the scatters, you will be presented with 4 different choices. These offer a range of free spin amounts paired with one of the 4 characters represented in the symbols. The highest value comes with the fewest number of free spins, whereas the lowest comes with the most. The other 2 fall in the middle. There is also a choice that lets the game chose a random number of spins. This is a fabulous, glitzy game that takes the mythical world of fairies and transforms it into something rather different from the stereotype. The game is still thoroughly themed, with a lush, woodland backdrop and each fairy given a distinct personality and design. With the stacked symbols, there’s a good chance for players to get some pretty sizable wins, and the animations that come with the stacks are particularly stunning. This is a great game with some unique features and a design that makes it stand out from Pragmatic Play’s other games, as well as those in the same genre. For some more myth and glamour try Pirate Princess.